Bosch advertises its new Indego S+ robotic lawnmower in a new commercial, introducing the device as “one of many connectivity solutions for a smarter future”. 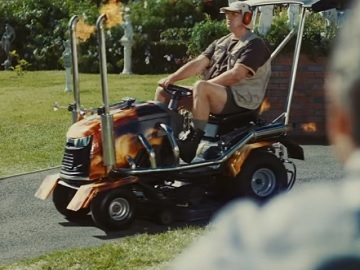 The spot, part of the German brand’s IoT image campaign and released with the #LikeABosch hashtag, features two neighbors in a “mowing faceoff”. While one of them uses a classic lawnmower and is all sweaty as he does the job, the other enjoys his cup of coffee, which is imprinted with the “LikeABosch” text. He doesn’t have to handle a big grass-cutting machine because he has several Indego S+ robotic mowers that master his garden autonomously. All he needs to do is push a button. Bosch informs that, with Indego S+ and the Bosch Smart Gardening app, you have everything you need to manage your lawn remotely, either via the app or through voice control using Amazon Alexa. The brand also states that, thanks to “LogiCut” navigation system, Indego mows in systematic lanes, making it significantly faster than comparable competitor models and kinder to the battery. Thanks to the “SmartMowing” feature, it takes care of your lawn autonomously, using a combination of your garden size, the local weather conditions and your personal preferences. In terms of noise, this robotic lawnmower “is no louder than an indoor conversation,” having a noise level of just 63 dB. Launched at CES 2019, the #LikeABosch campaign aims to highlight that Bosch is a leading provider of connected products and solutions. It debuted with a hip-hop video clip featuring a protagonist who is always on top of things thanks to connected IoT solutions. He operates his car, lawn mower, and coffee machine with his smartphone.